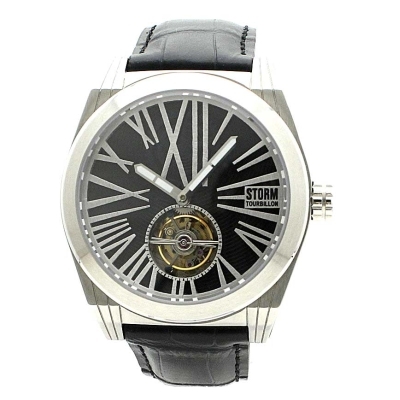 The Limited Edition Tourbo-X is the first ever Tourbillon watch from STORM, a feat of mechanical engineering. 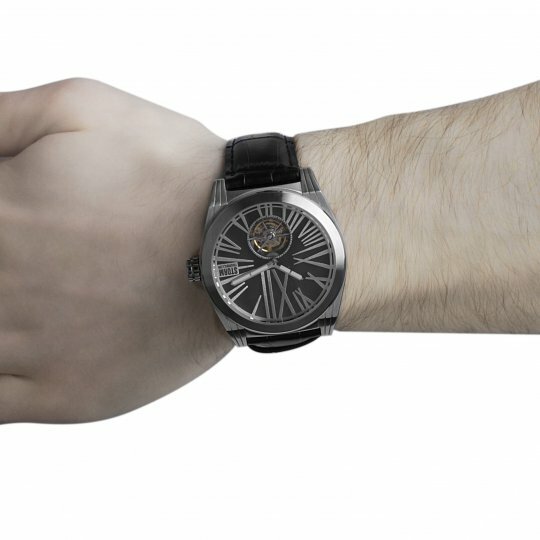 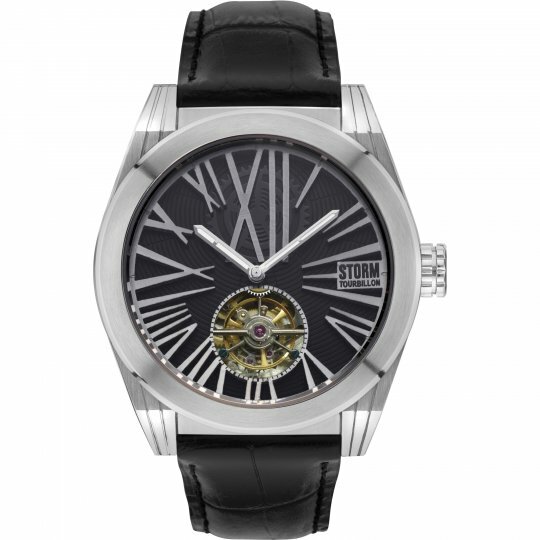 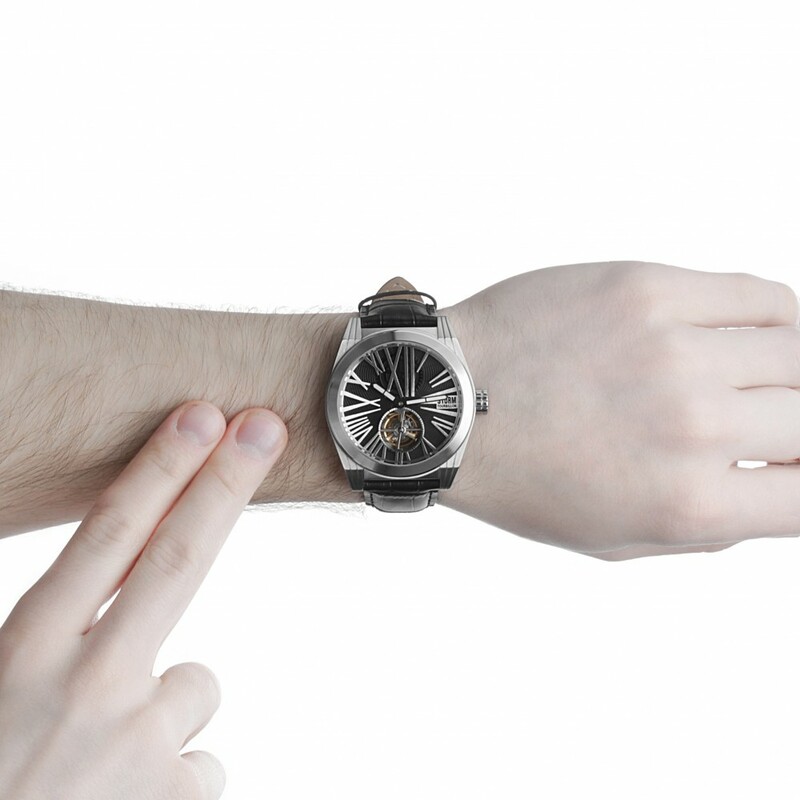 This Limited Edition timepiece features the triple axis Tourbillon automatic movement. Each intricate movement is made individually by hand, creating a timepiece more accurate than an ordinary automatic, as the rotating tourbillon cage negates the effect of gravity on the escapement. 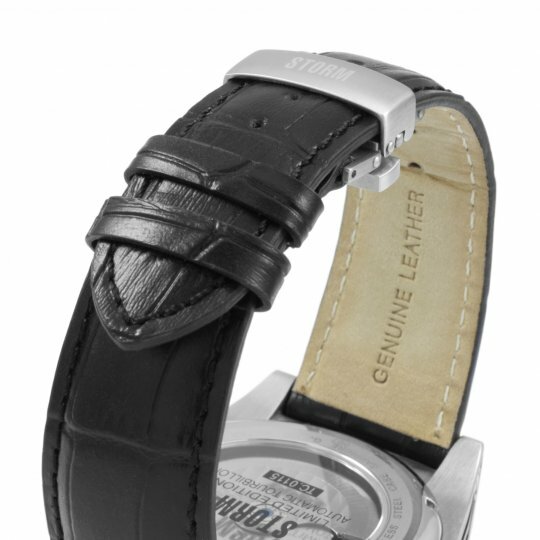 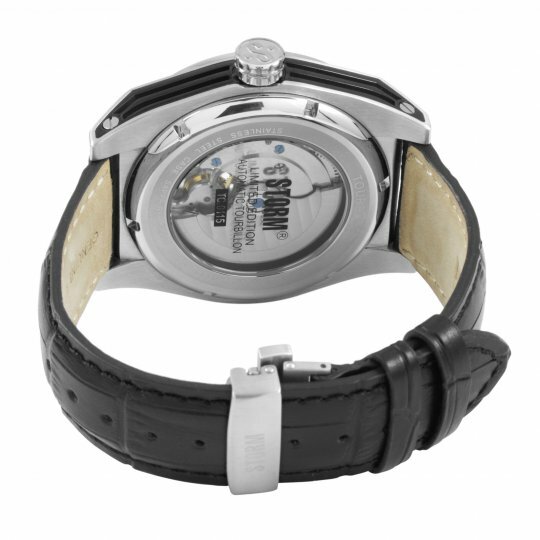 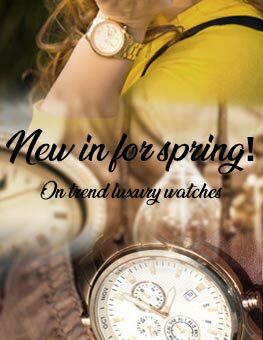 Sapphire crystal glass front and back ensures the movement is perfectly protected from scratches. 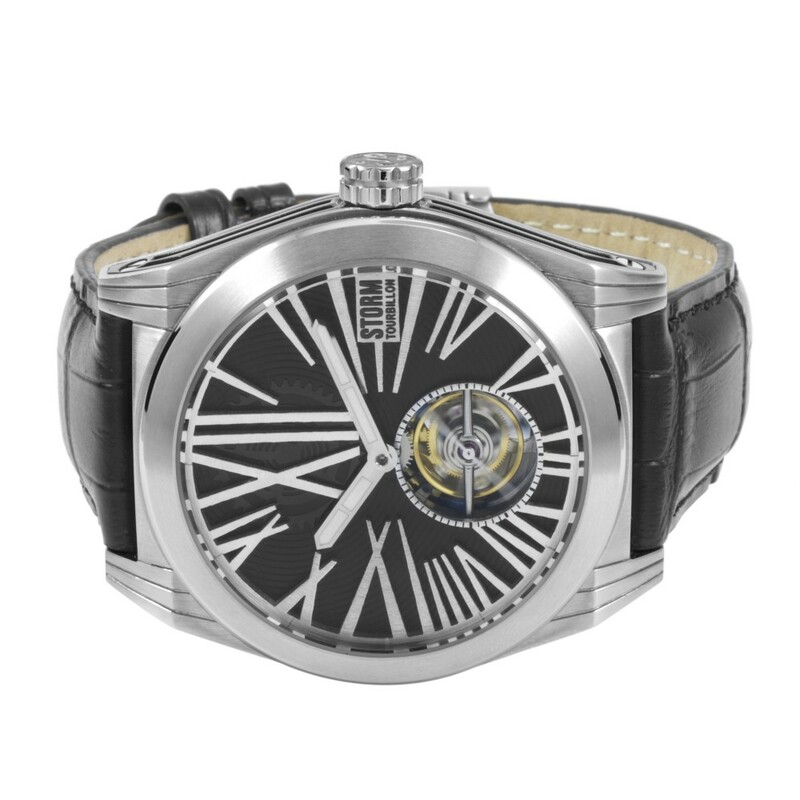 The Tourbo-X features a see through case back and contemporary 3D Roman numeral dial with semi transparent back, allowing you to see the movement underneath in more detail.